Crafts : Keep your old egg cartons: They can be recycled and are very practical. 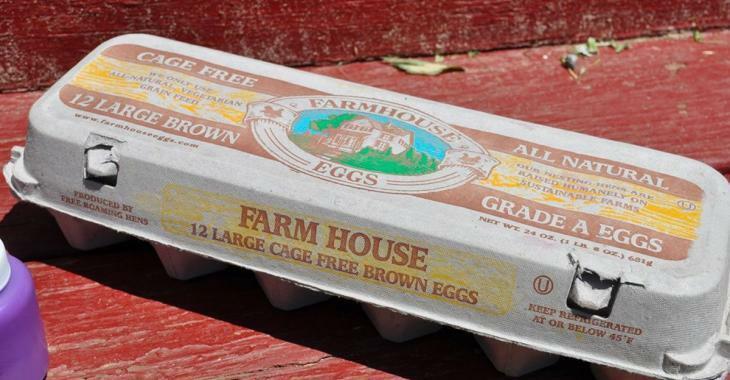 Keep your old egg cartons: They can be recycled and are very practical. Here are 15 ideas to reuse egg cartons! Reuse your old egg cartons! Most of us use at least one egg carton a week, but we do not think twice before tossing it out into the garbage once they are empty. You might want to think twice the next time you're about to throw one out, because you can do so much things with it! These containers can be recycled and are very convenient for the home! Take a look at the different ways to reuse them! Baby socks are adorable but tiny and can be easily lost or separated from their twin sock. Try placing a pair in each slot of an egg carton to keep them together. You can use an egg carton as a snack tray for your kids to prevent them from spilling their snacks everywhere. You are sitting at the table to work but you find that your computer is not at the right height? Why not use egg cartons to be more comfortable ? Egg cartons can be used as ribbon organizer. Just poke a few holes in egg carton. Place your nail polishes inside an egg carton to prevent spillage from making a mess. Isn't it a good idea? Pour the paints into an egg carton to make a mess-free and disposable paint tray. Keep your jewelry organized, especially the little jewellery that can get lost, by placing items inside of an egg carton ! Place an empty egg carton inside your refrigerator and use it to sort items like mustard pots to prevent them from leaking into your refrigerator. I really like this idea! You can turn an egg carton in a very cute sewing kit. Put the Christmas ornaments in an egg carton so they do not break. That's a great idea! Keep your tacks, paper clips and other objects in an egg carton to keep these items from spilling out into your desk. Another good idea! Fill an egg carton with bird seed and use some rope or twine to hang your DIY bird feeder on a tree ! Never lose another nut or bolt again by placing these little items inside of an egg carton ! Use an egg carton as a seed starter. When your seedlings are ready to be planted you can just plant the entire egg carton into the ground. It will disintegrate and won’t need to be removed. Awesome! Finally, why not make little ladybugs with your kids and have fun inventing fun little bugs ? Hoping that these ideas inspire you!